Welcome to our Children's Page. Here you you will find useful website links, games, quizzes, up and coming news and advice on what to do if you are having problems such as bullying. 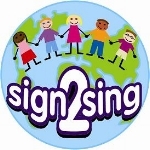 Well done and a big thank you to everyone who supported the Sign2Sing fundraiser. You can watch our video of the final performance by clicking here. Tuesday 7th February 2017 is Safer Internet Day. Click here for an internet safety quiz. You will need to enter the code IIXQ7GOC to get into the quiz. Here are some useful links for some games, which are a fun way of learning. There is the Woodlands Primary School Maths section, the BBC sites for Key Stage 1 and Key Stage 2. If you want to work on your times tables, Hit The Button is a great game and it's also really fun. Here are some websites that you might find helpful. If you are worried, upset or nervous about the way another child is treating you, our message is that you have to tell someone. The first person to tell is your class teacher, who will look into things fully and will help to put things right. Mr Kinsella is our school leader for anti-bullying and you can also find him either in the Key Stage 1 library in the mornings or up in Key Stage 2 in the afternoons if you ever need someone to talk to. We also have fantastic Anti-Bullying Ambassadors who will do everything they can to help you if you need them.